Fall in Love with Villa Ephrussi de Rothschild. 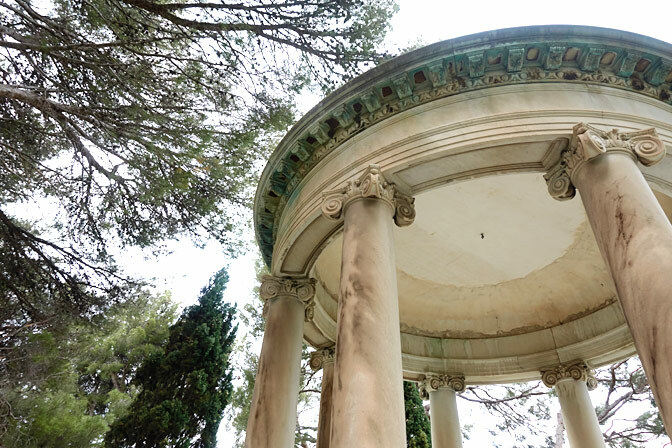 One of the spectacular highlights of staying in Villefranche sur Mer is undoubtedly the experience of visiting the breathtaking Villa et Jardins Ephrussi de Rothschild. The deliciously feminine home of Beatrice Ephrussi de Rothschild is located on Cap Ferrat, the eastern flank of Villefranche harbour. The Villa has magnificent views across the fabulous themed gardens, as well as the Mediterranean, and back towards the mountains of the Riviera . Surrounded by a magnificently maintained range of ornamental gardens, the Villa is set against the backdrop of the Mediterranean Sea. Inside, the gentle pinks and whites are reflected throughout the interiors. Many beautiful details are reminiscent of the luxury of a bygone era. The Villa is decorated in what has become known as the ‘Rothschild Style', an eclectic mix of furniture and art, in the finest possible taste and quality. It's easy to picture the life of ease. Of flowing gowns, dressing for dinner and weekend parties. The gardens alone took 7 years to construct. At times, hundreds of Italian workers were employed during dynamiting and reconstruction phases. Most of the soil was imported to add substance to the barren and rocky landscape. When Baroness Beatrice Ephrussi de Rothschild purchased the land, the only access was by a mule track. It is now one of the most highly prized locations of the Riviera. The Ephrussi garden layout is designed around a central axis. 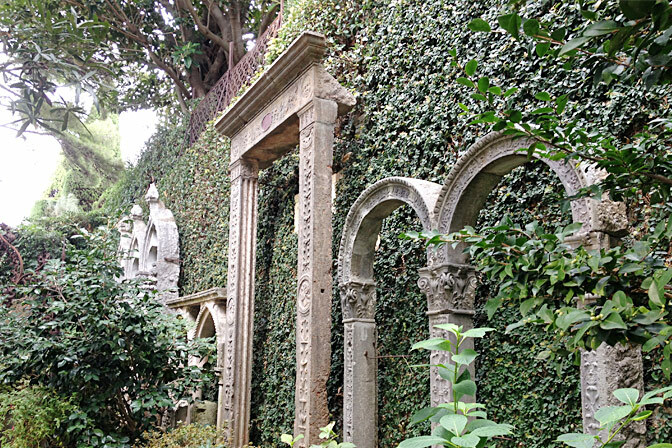 This leads from the Villa, along a formal garden with pools, and up to a white rotunda and waterfall. Several times each hour, the many fountains flirt upwards and ‘dance’ to beautiful classical music which is played throughout the landscape. Each of the themed gardens is impressive in their own right, and on one occasion I was brought to gentle tears of delight at the sheer beauty of it all. Take some time to sit on a bench in the shade of a magnificent tree, overlooking Villefranche harbour. Enjoy the gentle breeze. Stunning. November to January: from Monday to Friday from 2 p.m to 6 p.m. / weekends and holidays from 10 a.m to 6 p.m.
Tel: 04 93 01 33 09 . Tickets €14 Adults (2016): Includes the Villa and Gardens. For all other events, visit their website, where you will find all of the information to plan for your trip - updated regularly. As with my usual rhetoric, go early before the crowds. Take comfy shoes, and maybe your own picnic lunch. There is a lovely restaurant with a very special ambience and spectacular views. It’s up to you. I recommend the walk around Villefranche Bay to the Villa (about 3.5kms), and then there is a bus back to Villefranche, and Nice (or Beaulieu or beyond) when you’re finished. The ladies in the shop will help you out with times…ask them when you get there. Did Baroness Kitty live here too? I thought it was only the home of Beatrice Ephrussi. I am most interested to find out if this was also Kitty’s home. Thank you for taking so much time to comment on my blog, and in particular for pointing out what I think is most definitely a mistake in my content. To be honest, I’m not sure how I got the impression that ‘Kitty’ was Beatrice, but I can see now that I was mistaken. Thank you so much for your input. I love the fact that you are so interested in this story. It’s an exquisite place.